Floating sticks supplemental food. Feed 4 days per week. Will not cloud water. 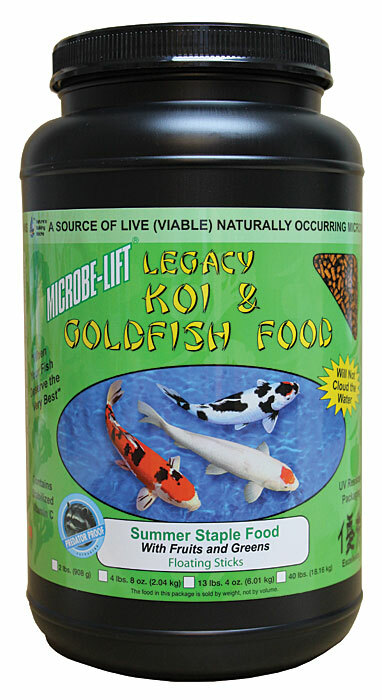 Contains Stabilized Vitamin C. Ecological Laboratories believes variety is the spice of life and, as far as we know, they are the first fish food manufacturer to commercially produce a food with such variety! 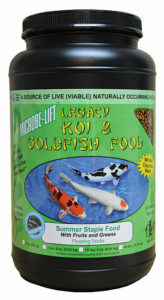 If you don’t have time to cut up fruits and vegetables for your pond fish, feed them Summer Staple Food with Fruits and Greens™. The cutting and blending has been done for you with Apples, Apricots, Kiwis, Mangos, Papayas, Peaches, Pears, Broccoli, Cabbage, Peas, Red Peppers, Tomatoes, Zucchini and Spinach all in this scientific blend.